In order to continue serving the disadvantaged youth in our community, Computers 4 Kids relies on volunteers and donations from people like you. Put your technical skills to good use! Volunteering will not only give you the opportunity to give back to your community, but will also help guide our students down a path that will help them to achieve their educational goals. Computers 4 Kids will gladly recycle your Electronic Waste. Your donation will keep e-waste from being sent to landfills, as well as help us to continue to provide much needed technical services to our community. All of your E-Waste donations are tax deductible. Donate by selecting Computers 4 Kids as your charitable origination when you shop online using AmazonSmile. Amazon will donate a small portion of your purchase price to help support Computers 4 Kids. Visit the Computers 4 Kids ebay shop to see what we are selling online this week! Please contact us if you are looking for an item that is not listed, we just might have it in stock right here at our storefront location. 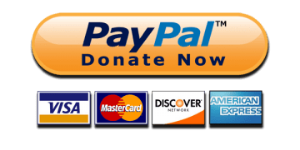 You can also donate to Computers 4 Kids directly by using PayPal. Any amount is greatly appreciated and will be used to support our current programs. And all donations are tax deductible!